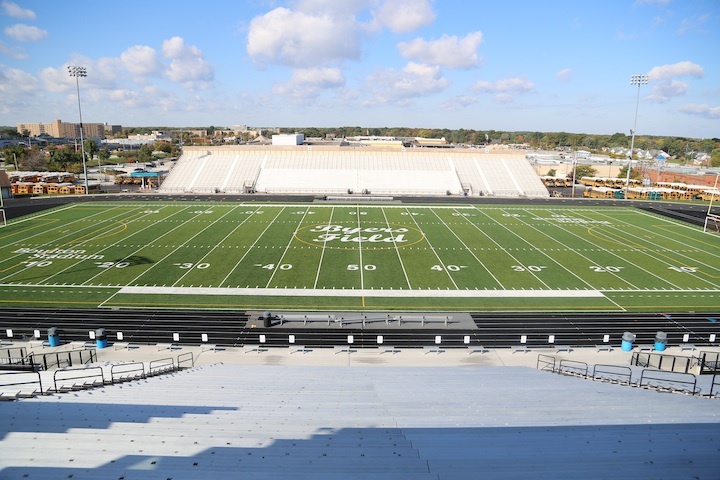 Byers Field at Robert M. Boulton Stadium is home to the Normandy Invaders football, soccer and track teams. Byers Field is a multi-purpose field and has seating for about 11,200 fans. For more information about Byers Field, including loge rental and ticket prices, please visit the PCSD Athletics webpage. Parking for games is located in lots off of Day Drive. Additional parking can be found at the Shoppes at Parma.